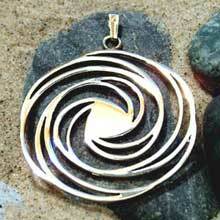 WholeJoy.com is an affiliate of Ka Gold Jewelry. 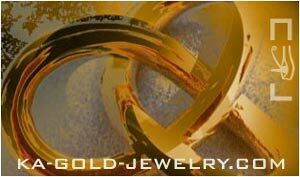 All links in this column will go directly to the secure Ka Gold website. If you have any questions, concerns, or need support, please contact webmaster or post at my FB page. 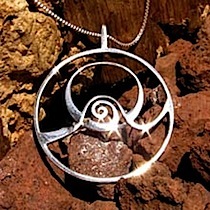 Why does David's authentic sacred jewelry sell so well during any season? People are looking for gifts that will truly show how much they love. 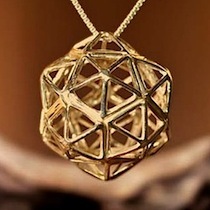 Gifts that will stay forever and bring inspiration to the gift's receiver. 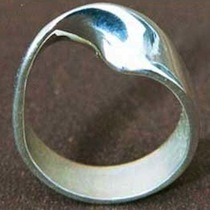 There are not many gifts that really touch the heart the way David's jewelry does. The combination of beauty, ancient history, meaning and art is compelling. The Vesica Pisces is derived from the intersection of two circles, the Pythagorean "measure of the fish" that symbolizes the mystical intersection of the world of the divine with the world of matter, and correspondingly, the beginning of creation. 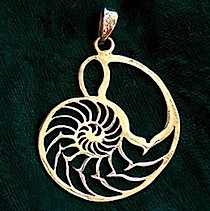 The Golden Spiral structure represents two well known sacred geometry shapes: the golden mean (phi) spiral and Fibonacci spiral. 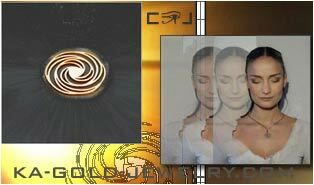 The Golden mean spiral is the secret proportion of beauty as it exists in nature. 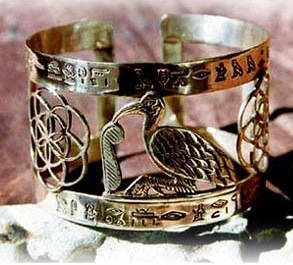 The Emerald Tablet bracelet contains the symbols of the ibis bird and the feather of Ma'at. The Ibis bird symbolizes Thoth, known as the ancient Egyptian god of wisdom and the scriber of the words of the gods. 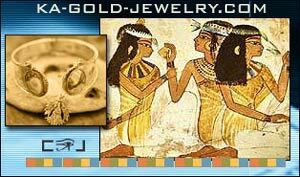 The feather of Ma'at is the symbol of the goddess of justice, truth and harmony. 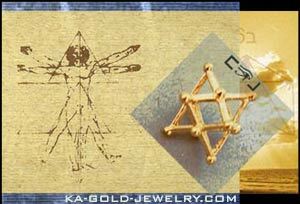 The Ka Bracelet contains elements from the emerald Tablets and the culture of ancient Egypt. 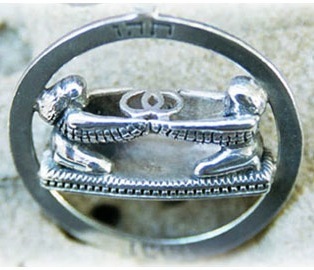 A translation of the hieroglyphs engraved on the bracelet is: "Rise up and awaken, you are not dead, your Ka will remain within you for eternity." 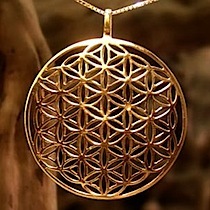 The Flower of Life can be found in all major religions of the world. 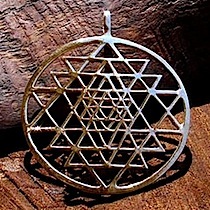 In Egypt, the source of all the mono-theistic religions, the "Flower of Life" can be found in the ancient Temple of Abydos. 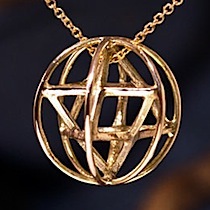 Personal Creation pendant contains the geometrical and mathematical patterns of creation itself as it can be found in nature. 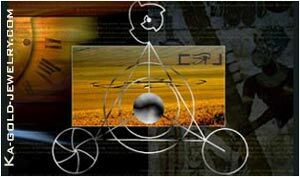 The Personal creation shape appeared in the year 1991 in Wessex, England, in a wheat field. 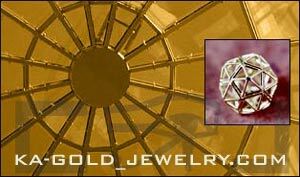 The Golden Spiral structure represents two well known sacred geometry shapes: the golden mean (phi) spiral and the Fibonacci spiral. It is a based on a crop circle shape known as the "Hackpen Hill Formation" that formed in an English wheat field in 1999.